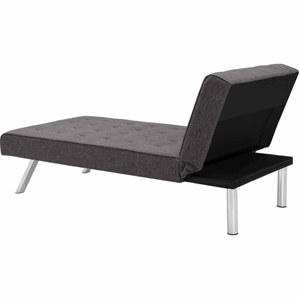 Folding beds with chaise headrest. When guests come to stay over, take out the folding guest bed so they feel comfortable for the night. The DHP Emily Chaise Lounger features a gray linen color that coordinates well with all types of decor. It makes an excellent addition to any living room, study, den or office.